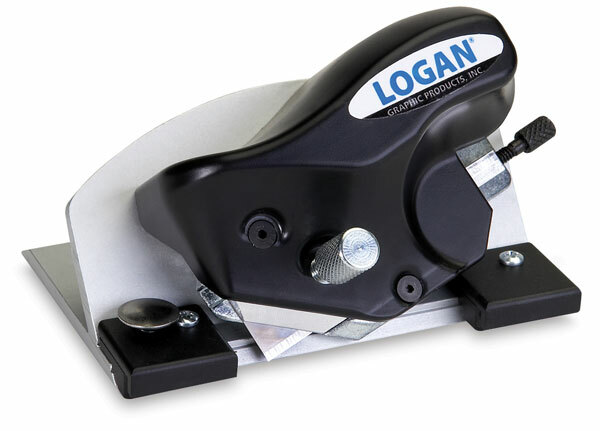 Designed primarily to cut 8-ply mat boards, the Logan 5000 Mat Cutter can also be adjusted to cut standard 4-ply mat boards. The Logan 5000 features an ergonomic grip, a quick-change magnetic blade holder with an adjustable blade depth knob, and a start and stop indicator that prevents overcuts. The Logan 5000 Mat Cutter is compatible with the Logan Compact, Artist Elite, and Simplex Series mat cutters. Five #271 replacement blades are included with the Model 5000. Blade #271 — A single-edge razor blade, for use with the Model 5000 8-Ply Mat Cutter, Logan 750‑1, and the Logan 760‑1.